Pearl Legg was raised on a farm that covered most of the land now known as Webster Park Addition in Clintonville. His first job was with the Tracy Wells Co. and his “salary” was $3.00 per week. 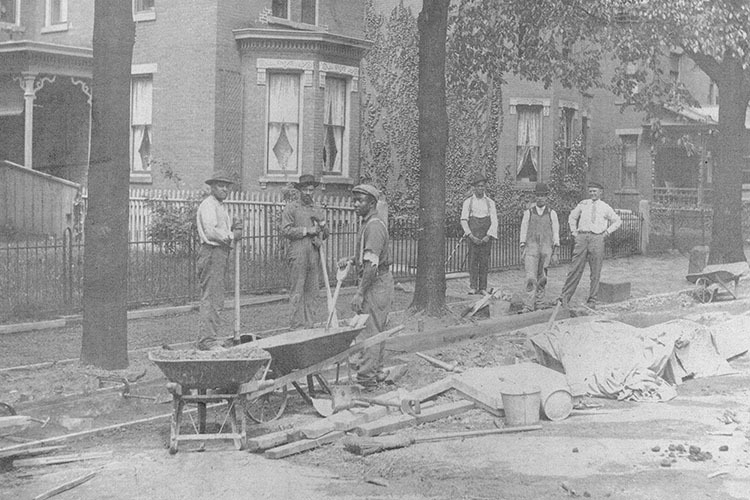 After travelling around the world while in the armed forces during the Spanish American War, he returned to Columbus to enter the contracting business. In 1907 Mr. Legg started a coal and construction business and operated it alone until 1910 when he took in S. M. Davis as a partner, and the firm was then called the Legg and Davis Coal Co.
Mr. Legg’s leisure time was divided between his farm near Flint, Ohio and his home in Florida. 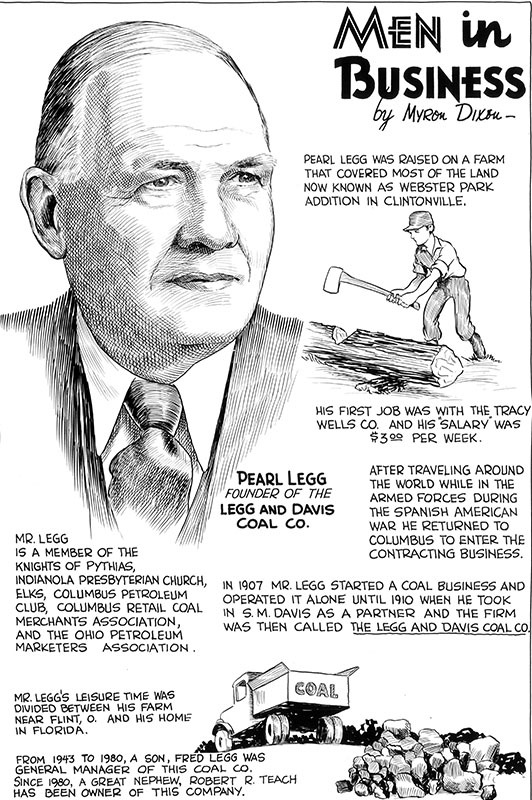 Mr. Legg was a member of the Knights of Pythias, Indianola Presbyterian Church, the Elks, Columbus Petroleum Club, Columbus Retail Coal Merchants Association, and the Ohio Petroleum Marketers Association. 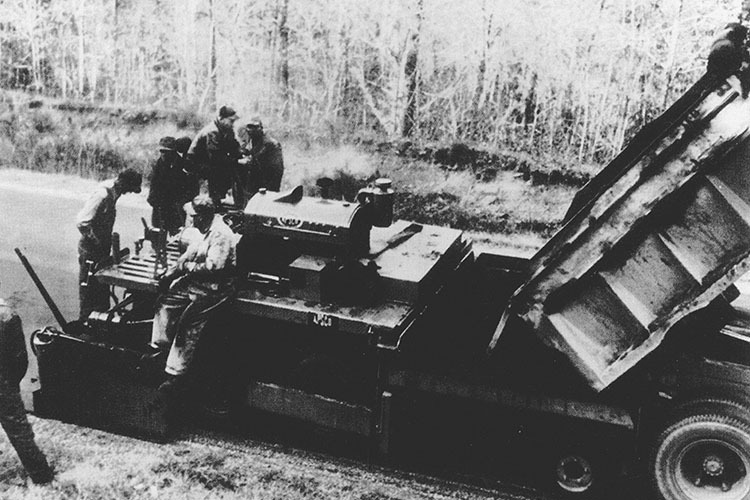 From 1943 to 1980, a son, Fred Legg was general manager of this coal and construction company. 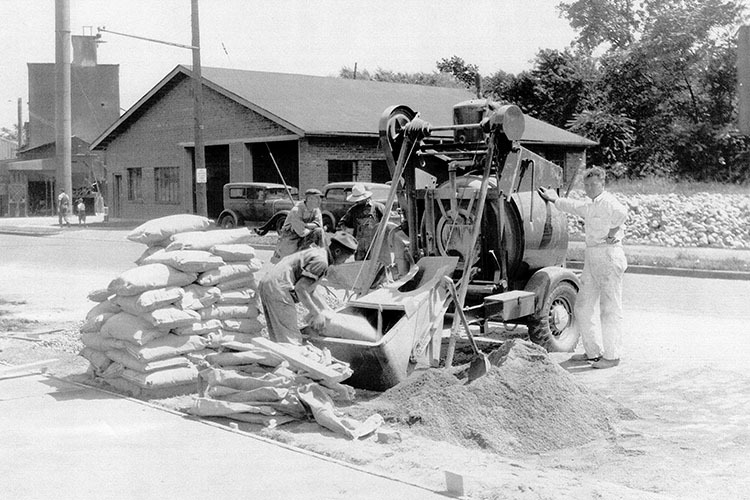 Since 1980, a great nephew, Robert R. Teach has been owner of this company.